This is the definition of Death Metal as on RateYourMusic - Death Metal is a Metal sub-genre that began in the United States in the mid 1980s and was heavily influenced by Thrash Metal(particularly bands like Slayer and Kreator). Pioneers of the genre include bands such as Possessed, Death, and Morbid Angel. This genre often utilizes abrupt changes in tempo, key, and time signature, although this is not present in all forms of this music. Guitars are heavily distorted and down-tuned, and are often played using techniques such as palm muting and tremolo picking. Chromatic chord progressions are often featured in Death Metal songs. Death Metal drummers typically play in very fast patterns and often employ double bass drum techniques and the use of blast beats to create a highly aggressive sound. Vocally, Death Metal uses a style consisting largely of guttural growls, grunts, and gurgles. Lyrics are bleak and often violent or anti-religious. Even today, this style is considered a largely underground form of music. A pretty good definition covering almost all characteristics of death metal. Almost. This definition, and the definition of death metal as on Wikipedia are quite similar but both do not mention one very important characteristic of death metal. The atmosphere. Remember the golden era of death metal when the only aim of playing death metal wasn’t just playing blast beats and aggression but an inherent evil foul and wicked almost suffocating atmosphere? Not many in this ongoing new school of old school death metal have been able to grasp and master this concept, hell, not many of the old school bands were able to do it unless you’re a band member of Incantation or Autopsy but Krypts seem to have grabbed that elusive devil by the collar and make it its own and in the process have written a chapter on death metal atmosphere that would have made the masters proud. Krypts, a Finnish band have been around for a while. Even if you’re a new band when you come from a country that has birthed the bastardly putrid sons of bands like Demilich, Demigod, Convulse (who, for those living under a rock have come up with a pretty nifty little EP earlier this year) , Adramelech, Xysma, Cartilage (to name a very very few) you carry of extremely legendary tag of Finnish death metal which can be a huge burden to carry. 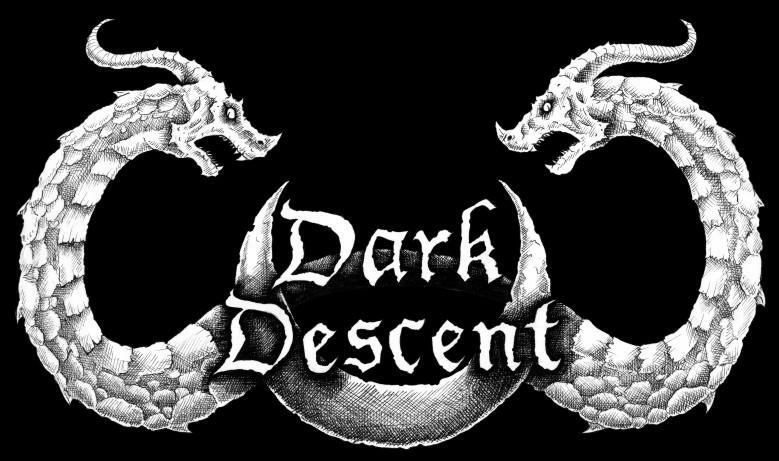 They formed in 2008 and have released a self titled EP in 2001 and a demo called ‘Open The Crypts in 2009 and since then have lived up to their expectations and released stuff which created ripples of excitement in the death metal community. A glance of at the album art which has been inked by THE Timo Kotela who has made the famous Deathspell Omega and Watain covers has also done artwork for bands like Kaamos, Teitanblood, Katharsis and Dead Congregation is a visual showcase of the music contained within the debut album labelled ‘Unending Degradation’ . It’s bleak, dark, and oppressive yet possessing a sense of all that is unholy. If ‘Open The Crypts’ and ‘Krypts’ were teasers into the putrid make of death metal this band was about to churn out then ‘Unending Degradation’ is the full monty of unabashed, rancid death metal that if I may be completely honest may have surprised many of fan of this band including me as something this heavy and lumbering was not expected. But then again it may not be as surprising considering Dark Descent records have signed ‘em up, a label that over the years has signed only the best of the best to their catalogue of death metal, some bands being Adversarial, Goreaphobia, Lvcifyre and Anhedonist. The album consists of 8 tracks and lasting nearly 40 minutes has 3 tracks from their 2009 demo. These tracks are ‘Open The Crypt’, ‘Dormancy Of Ancients’ and ‘Day Of Reckoning’. These tracks have been re-recorded and given an atmosphere and feel that make it go consistently with the other tracks of the album instead of just being copy pasted and makng them seem out of place, which once again is not every surprising since Dark Descent is anything but an amateur. The music can be described as a mixture of Death and Death\Doom with its traditional Finnish styled downtuned heavy goodness, sepulchral bass lines, visceral bellows and sunken drums that mesh together to create an unforgivingly dark, deep and debauched atmosphere. Throughout the album there are various tempo changes which change between mid paced and slow lumbering with well thought of precision. After all its the heavy and slow riffs that make for a more morbid atmosphere than the hyperspeed technical ones. Each time the gear is changed it brings about the unmitigated change in the cavernous atmosphere which the band intended to do so in the first place. Whether the riffs crawl along at a maggot like pace or a faster more paced approach the band never meanders from its pivotal aim which is of creating a monstrously perverted atmosphere. Throughout the album the band permeates an esoteric intelligence by showing it knows what it wants backed by an unbridled creativity of the instruments through which the bands can bring forth unto the listener what the band needs. The song writing and song placing on the album is another brilliant feature innate here. The way the band uses extended outros as intros to the upcoming tracks as well as further piling to the suffocating atmosphere and how the band meshes the slow placed lumbering riffs of the track ‘Inhale...’ as a precursor to the unhinged crushing brutality of the following track ‘The Black Smoke’ shows the vision of the band which is further cemented in this all killer, no filler consistent release when the band finishes of with a bang with their final track ‘Beneath The Archaic’ which is masterpiece of modern death/doom and everything the band stands for. Devastating stuff. 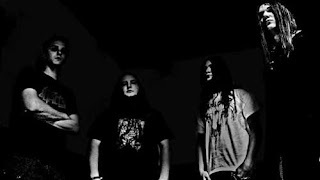 Unending Degradation has cemented Krypts place in the modern death metal scene by creating an album that is so full of emotion and by merging its old and new stuff with amazingly perfect liquidity. This is an incarnation of old school death metal.. the Finnish way. In a year that boasts of releases by Zealotry, Convulse, Mitochondrion, Lantern, T.O.O.H, Mithras, Vorum, Portal and Suffocation amongst others and with 10 of the 12 months of this year still left toppling this beat beast of an album will not be an easy task, and if some band old or new does manage to best this.. well then this year will bring back a smile on the face of an old school death metal fan.